Is Cherry Hill native Lauren Cohan bailing from 'The Walking Dead'? Fans of The Walking Dead know Lauren Cohan as Maggie Rhee (or Greene, if you prefer her maiden name), but the Cherry Hill native may soon be leading another drama if the pilot she recently booked takes off. According to Variety, Cohan has signed on as the lead for Whiskey Cavalier, an action dramedy pilot that puts her in the role of CIA agent Francesca "Frankie" Trowbridge. The show pairs her with Scandal's Scott Foley, who plays FBI agent Will Chase, and together the two head up a team of spies who work to save the world. Foley will be out of work come April 19 when Scandal wraps its seventh season on ABC. But Cohan's situation is a bit murkier. Cohan reportedly doesn't have a contract at AMC for the upcoming ninth season of The Walking Dead, and has been engaged in negotiations over her return "for months," Variety reports. Should Whiskey Cavalier go to series, Cohan could end up leaving The Walking Dead entirely, or just limit her appearances on the show. 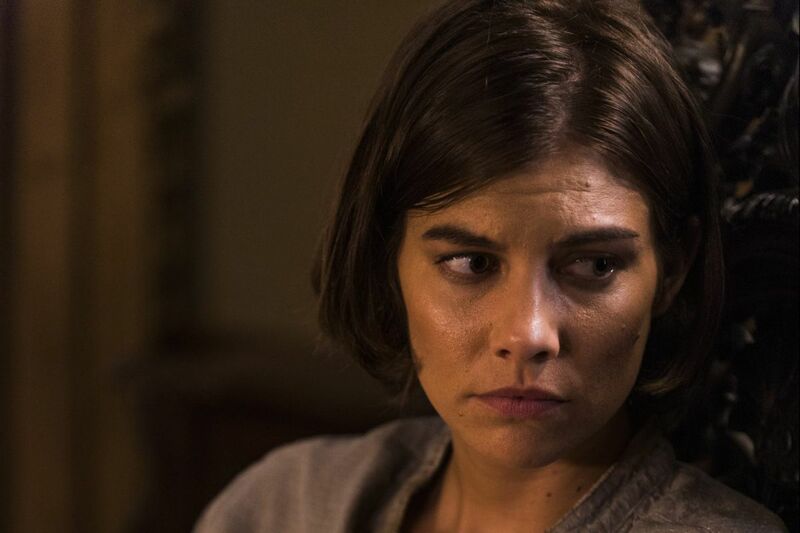 News of Cohan's potential departure from The Walking Dead next season has sparked a flurry of speculation online, with some critics, like Forbes' Erik Kain, arguing that the show would be better off without her. "Maggie has been a stale character for ages now, and the show's producers have completely wasted her character arc and potential," Kain wrote. "The Walking Dead has so completely dropped the ball with Maggie that at this point that she's more of a distraction than anything." The Daily News spoke with Cohan about her work on The Walking Dead in late 2016. At the time, the show was freshly into its seventh season, which debuted with the murder of Maggie's husband Glenn by the evil Saviors leader Negan, leaving Cohan's character to lead the Hilltop Colony a pregnant widow in an apocalyptic wasteland. "I've learned the power of deep connection — the people, the material, and the story," she said. "The most fun part is that it's family. I am so close with everyone, and we've had the same core group of people together for so many years." Going into the second half of season 8, Maggie is still pregnant and has imprisoned former leader Gregory for working with Negan. A potential end for Maggie's character would not be the only loss the show — known for killing of beloved characters with no warning — has suffered in season eight. Rick's son Carl will start the second half of season 8 off with a zombie bite he sustained in last fall's mid-season finale. The Walking Dead's mid-season premiere for its eighth season begins airs Feb. 25 at 9 p.m. on AMC.